I hope you have had an interesting weekend so far; I've spent mine reading about the lesser know programming languages, and what promise they hold for development. 2. Attend Ingressive's Tech Meets Entertainment Summit (TMES), "Building Investment-ready companies in Nigeria", on the 24th - 25th of October. The summit will give insight into maximizing impact and monetizing relationships. If you would like to attend, save a seat here. 3. Ingressive is calling on students in tertiary institutions in Nigeria, Ghana, and Kenya, who are interested in tech, to build tech communities and become Ingressive Campus Ambassadors in their various schools. If you're interested, read more here. 4. Hacktoberfest, the month-long celebration of and collaboration in open source software is well underway, and if you'd like your contributions on the Hacktoberfest Social Impact to be more impactful, here's how. + Save your seat at the "African Women in Technology and Business" event organized by Nectar Hub and ARPG Tech. Get the opportunity to network with industry leaders, get access to foreign funding leads, and meet a potential mentor. The event takes place on the 18th of October. - Join the PyTorch Scholarship Challenge courtesy of Facebook and Udacity. The scholarship is open to all applicants interested in deep learning. 10,000 people will participate in the Challenge course to build their knowledge. Top entrants will be selected for Udacity's Deep Learning Nanodegree program. Read more here. - The BuyCoins Africa team is looking to hire a Ruby on Rails back-end developer. If this interests you, apply here. - The NpmJs team is looking to hire a remote, mid-level software engineer (web). If this interests you, check out the details. - Figma Inc has announced their first Figma API Challenge. Create the best possible Figma to Sketch converter - that's all! With $15,000 in prizes for winners, the jig is up. Read all about the challenge here. - Register to compete in the First Bank of Nigeria hackathon, First Bank Innovate, to produce technology and digital solutions that will improve banking processes and deliver value to users. The hackathon is slated to take place from the 11th to 12th of October. Read more about the hackathon and register here. - Naija Hacks 2018 will kick off on the 19th of October and end on the 23rd of the same month. This year's edition seeks to bring innovation to agriculture and education. Cash prizes up to N1million can be won. If you'd like to be part of the hackathon, register here before the 28th of September. If you are building dope tools that the community needs to hear about, my DMs are open. If you're not, it's never too late to start. In this article, Avi Aryan, (@aviaryan123), explains why you should do competitive programming, and the possible benefits. Never want to miss out on any forLoop meetup? 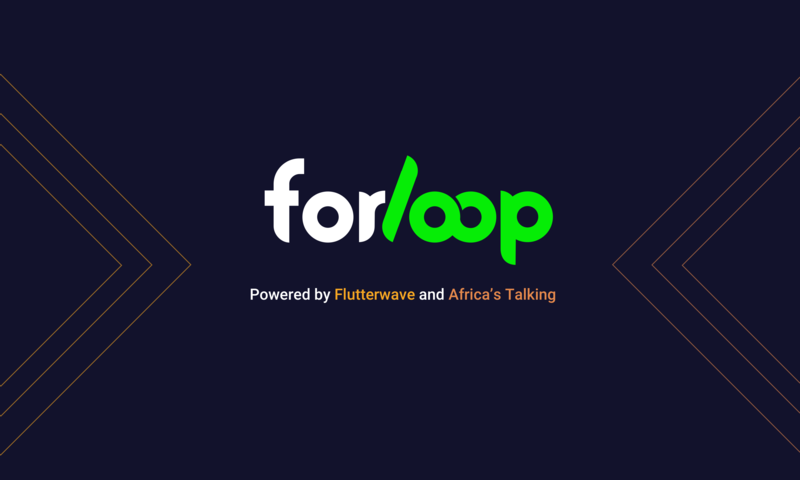 Please do well to check out forloop.africa/meetups for details on all upcoming events. You can also enter your email on the form to get notified ahead of time. Also, check out the archive to see the ones that have gone on before. This newsletter was written under the influence of Ab Ovo by Joep Beving. PS: forLoopWeekly comes in the mail on Sundays and forLoopWednesday comes in on, you guessed it - Wednesday evenings. If they get forwarded to you by a dear friend, please subscribe, so you can receive them directly in your inbox, going forward. Cheers. Copyright © 2018 ForLoop Africa, All rights reserved.